Lately I’ve been on a mission to streamline my life as much as possible. I just feel so much more peaceful and in control when I’m not running around in a million different directions like a chicken with my head cut off. I’ve discovered some productivity habits that really help me to streamline my time and my life in general. I find that by cutting out a lot of the unnecessary, or decreasing how much time I need to spend on my to-dos, I’m left with a lot more time and energy to devote to what I truly love and enjoy doing. There are many ways that a streamlined life can have a positive impact on your overall well-being and help you feel more empowered when it comes to your future and achieving your dreams. Here are my top productivity habits to streamline your life and help you get on the path to feeling empowered! Physical clutter almost always turns into mental clutter. 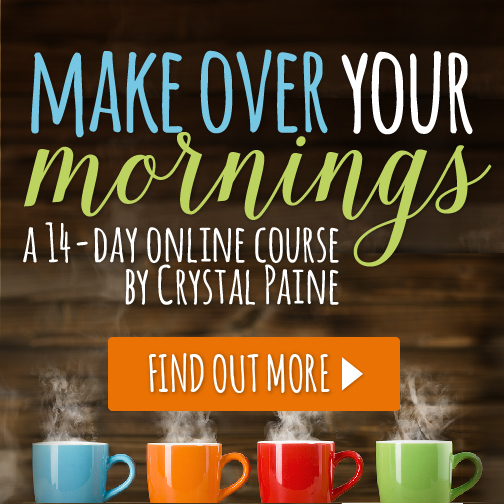 If you’re serious about streamlining your life, this is the best place to start. 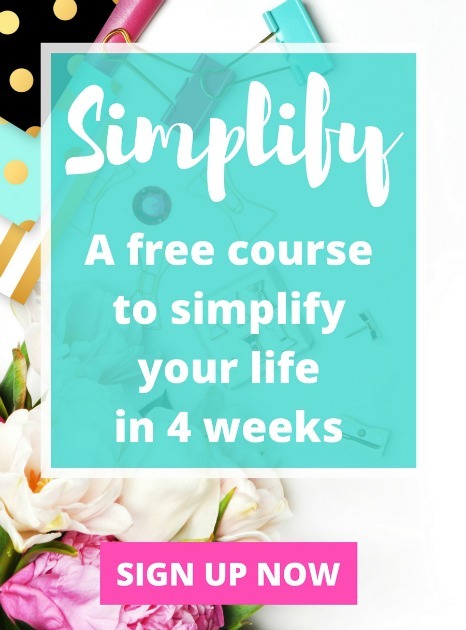 Once you get the clutter under control, it will be a lot easier to simplify the other areas of your life as well. For example, your grocery list. Keep a notepad out on your kitchen counter or maybe a piece of paper taped to the inside of a cabinet, and then as you run out of milk or other necessities, simply add them to your list. This way you can just grab the list as you walk out the door to go shopping and don’t have to spend 15 minutes scavenging through the kitchen trying to figure out what the heck you need. This also helps to prevent you from forgetting anything and having to do another trip shortly after. Routines don’t sound like the most exciting thing to take on, but they really can do wonders for your productivity level. There are cleaning routines, morning routines, workout routines, etc. I think the best approach is to pick one type of routine to help you simplify your schedule and some tasks that you need to accomplish. After that one routine is established, then maybe move on to incorporating another into your life. This is a great way to save some precious brain power and energy on remembering to pay monthly bills. Automate as many bill payments as possible so you don’t have to fret about paying anything late (or worse, actually paying late and then having to pay for a late fee!). Create a to-do list at night for the next day so you’re never left wondering “what exactly do I need to do today?” Take the planning portion out of your morning so that you can just dive in and start tackling your to-dos and your life will become so much easier! The biggest thing is to figure out your top 3 priority tasks for the day, and try to tackle the most challenging one first. Accomplishing your hardest task of the day will likely keep you motivated enough to keep trucking through your list. If something doesn’t align with your priorities in life, don’t feel guilty about saying “no” to it. You aren’t obligated to do everything in life that is asked of you. You are the keeper of your time, so it is up to you to not let others dictate how you are spending it. When we allow ourselves to become caught up in activities and perceived obligations that we don’t enjoy, it doesn’t leave much time to spend on what we actually want to do. 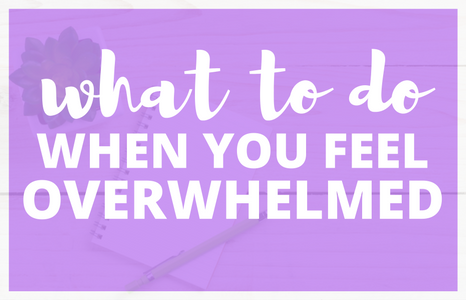 If there’s something a family member or friend is able and willing to help you with, don’t be afraid to ask for help if you find yourself feeling overwhelmed. This is something I am still working on because I really hate asking for help of any kind, but life is so much easier and less stressful when you accept help as you need it! 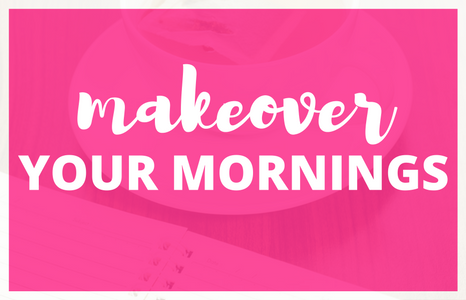 I’ve also found the Make Over Your Mornings course to be a great resource for revamping my mornings and allowing me to be a lot more productive! Feel free to read more about my experience with this course here. 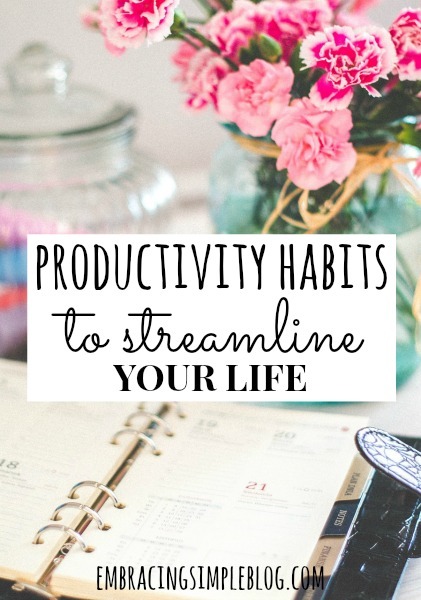 Are there any productivity habits that you’ve found helpful in streamlining your own life? Share them below! Do complicated tasks when you are at your best. I’m a morning person, so doing something that takes time and thoughtfulness means I’ll do that in the morning. I’ll get it done more quickly, freeing up time for other things. I need some work with productivity. I constantly update my To Do Lists and some I just can’t seem to complete. For example, I need to pain my doors, closets, baseboards in my house. I have put this off for years. I hate to paint but this job is really not that difficult but I am making it a big huge battle. I have thought about breaking it down, paint a little at a time like one weekend paint the doors, another weekend paint the baseboards, etc. Why am I having such a hard time about this stupid project??? Janet, that is so funny that you mention that specific task, because I actually painted our doors, baseboards, and window trim white a few years ago. I also put it off for a few years because I was so overwhelmed I didn’t even know where to start and was also making it into this huge battle. I definitely suggest breaking it down into small increments. For me, it helped to block out an hour or so at a time to dedicate towards it. I would just force myself to work on it for an hour and found that setting that time limit for myself motivated me in that no matter how much I disliked the actual act of doing it, I’d be done within an hour. I found myself getting lost in painting quite a few nights and would paint for 5-6 hours at a time just because I got into such a groove. I say start out with small goals for yourself and I think you might really surprise yourself with how quickly you can get it accomplished 🙂 Best of luck with your project! Delegation is such a hard one. I have control issues, haha, so giving the reins to someone else is really hard for me. I do too Kristi, I’m a total control freak. I’m working on it though! 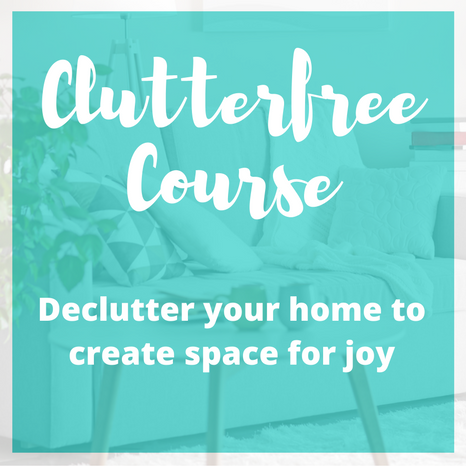 You’re so right about clutter. Physical clutter causes me great anxiety. These are great. I am struggling with this right now…I just feel like I am just keeping my head above water trying to keep everyone alive, let alone blog and keep up with my etsy store. One thing that I have been doing is taking time in the morning for myself. I meditate and have some tea before the chaos of the day starts. I know it seems counterproductive to take time to do ‘nothing’, but it makes me much more productive later on in the day. Makes total sense to me! I have been trying my absolute best to wake up earlier than Little Miss the past few days (which isn’t always easy, she usually wakes up a minimum of 3 times every night), and I find myself feeling so much more patient throughout the rest of the day when I have even 30 minutes to myself at the beginning of the day. Excellent tips! One I would add would be making your basic needs a priority. We can be so much more productive when we are eating healthy, staying hydrated, and–most importantly–getting enough sleep. And yet those are the habits we get rid of first, when things become stressful. Great tips Bethany, thanks for sharing! I am all about routines! Unlike Kirsten, I am not a morning person, hahaha, and to not have to think about what I need to do/wear/pack/whatever certainly helps. I like finding a good routine and sticking to it. Feels like a mental rest. I’m not either Chela, I’m such a night owl. Although I am trying REALLY hard to be a morning person these days, mostly because I don’t have a choice lol! I need to be better at finishing my lists. I’ll starting writing one but then forget where I put, too lazy to go to the other room to go get it, etc. I’ve slowly integrated a cleaning routine which has helped a lot. Haha! Maybe try making it on your phone to keep it in a central place? This post is so much win! I find “to do” lists are the most important productivity hack. I list out what I need to do and I number them based on priorities. I have started to use Microsoft OneNote on my work laptop for both work and personal tasks and it’s been great. It’s tough to transition from a paper notebook to software, but I think long-term I’ll be glad I did. Thanks DC! That’s great that you’re finding a process that is working well for you. I use Evernote for a lot of my long-term planning purposes, but find paper and pen to be the most effective for my daily to-dos list. There’s just something so satisfying to me about physically crossing items off as I complete them. Delegating is so important. I’ve always had trouble doing that– either I want full control, or I don’t want to bother others. But I’ve learned how helpful a habit it can be, and it can even be good for our friendships! I’m the same way Daisy, it’s truly such a struggle for me. Especially these days when I sometimes need a “Mom” break but I hate asking anyone except my hubby for help with the baby…half because I crave control and half because I feel bad for being an imposition on anyone. I’m working on it! To Do lists are my go-to for helping productivity. I use them at work – at the end of the day I write out my list for tomorrow – and at home. Just knowing that the things I need to do are written down somewhere frees up a lot of mental space that would otherwise be worrying that I forgot to do something! I’m the same way, it keeps my control freak tendencies in check and keeps my stress down too! I think what you said about physical clutter is so true. I have a friend who I care about dearly but her house is a cluttered mess and so is her daily schedule. I just want to drop by and help her organize when we both have a few spare hours. To-do lists work best for me along with using a planner to stay organized. I used to waste so much time on nonsense when I was less productive and it was such a bad experience. I’m sure she would really appreciate that Chonce! Definitely, I’m a to-do list fanatic! Simplifying!!! That’s my motto! Not having a lot of stuff has made it so I can quickly clean our home and there’s just less to take care of and less lying around. I also wake up early and try to stick to a routine each day. It varies a tad because of the girls, but for the most part we’re a very organized bunch over here!! One thing I could work on is COOKING! Bleh – I totally do not meal plan and grocery shop way too much. A work in progress!! Absolutely Sarah! Agreed, I could work on my meal planning too. There’s always something I can get better at! Hi Christina! 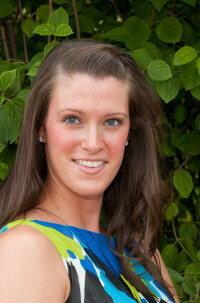 I am very much enjoying your blog and posts about simplifying, thanks for your time and sharing. Your suggestion about keeping a grocery list handy is essential in my house and I found an App for my iPhone that has revolutionized our lives…literally. It’s called AnyList https://www.anylistapp.com/ and the version my husband and I use is free. You can upgrade, but we have never needed to do that. You can endlessly create and maintain lists of any kind and then *drumroll* you can share them! On our ongoing Grocery List I can add things at home (coffee, bread, dog food, etc.) and it notifies my Hubs that new items are on the list. Then when he goes to the store (I am the rare breed of woman who is lucky enough to have a Hubs who does the shopping) he taps the item on the list as he picks them up and it then removes the item from the list, on his and AND on my end! I get a notification of the items that are no longer on the list! It’s like magic! We keep all sorts of list from oddball non-grocery items to a master wish list of the things and tasks we want to have in place by the time we retire. I encourage ALL to check it out and give it a whirl, you won’t be sorry! Aw thank you so much Jennifer! 🙂 And thanks for sharing, I’ll have to check AnyList out. Always looking for new ways to make my life easier! That’s awesome Meryl! Looking forward to checking out your blog 🙂 And I think simplifying/downsizing is much better than just organizing. Organizing you have to do over and over again if you have too much “stuff”. 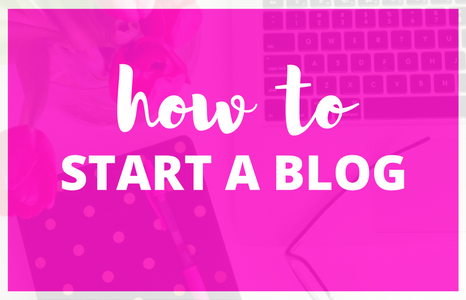 I stumbled upon it over on pinterest and can’t wait to check out your blog a little more – I think I just discovered a little gold mine…. Thank you Shannon! That’s awesome, I’m so glad you found me. 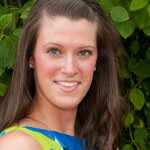 Looking forward to checking out your blog as well! I found this post in Pinterest! Love it! I need it that! Familietraditionerne. Hver sÃ¸ndag i advent samles jeg og mine tre sÃ¸skende hos mine forÃ¦ldre, Det er skÃ¸nt at fÃ¥ set sÃ¥ meget til hinanden pludselig. I dag skal vi lave juledekorationer, nÃ¦ste uge skal vi gÃ¥ julemÃ¦rkemarch til fordel for julemÃ¦rkehjemmene. Tredje sÃ¸ndag skal vi lave konfekt og fjerde sÃ¸ndag skal vi fÃ¦lde juletrÃ¦!